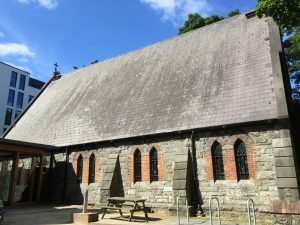 Since being built in the 1860’s, the roof of St Finian’s Church is in its original state: genuine black bangor slate, held with two nails on wooden rafters and on a plaster coating that holds the slates together. Wind and weather have since been a challenge. 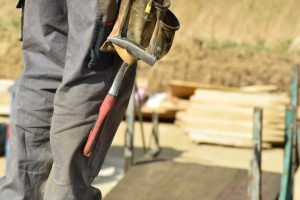 Especially during the recent years it has become increasingly obvious that the nails are loosing strength and cannot support the slates sufficiently. 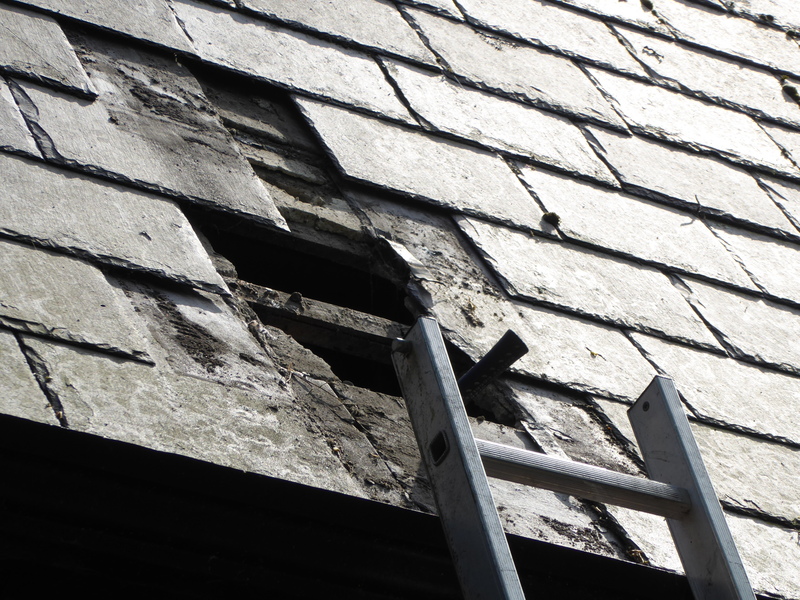 Neither can the plaster, and more and more slates become loose and slide down. Moisture and penetrating damp are serious concerns to which wind contributes. And damage continues. If renovation works are not undertaken for the church roof, the damage will increase to an unmanageable extent. Should the major beams, on which the whole structure is resting, get damaged severely by water ingress and constant moisture, the church might have to be closed for security reasons. To avoid this, the whole roof needs to be renovated and all rafters and beams to be examined. It is our aim to reuse as many of the original slates as possible. Insulation might be an option to enhance the inner climate of the entire church building and to reduce loss of heat during the colder months. Why is this a project for the Lutheran Church in Ireland? The church building of St Finian’s church is currently being let to the Lutheran Church in Ireland on a very generous 99-year lease requiring rent of one shilling – less than one Euro – per annum. In return, the Lutheran Church in Ireland is responsible for the upkeep of the building and all costs occurring. The lease will not expire until 2060, more than forty years from now. Therefore, it is a worthwhile investment to attend to the church roof. An inspection last summer has revealed that the overall damage could be estimated at c. €120,000. Five years ago, the Lutheran Church in Ireland, along with countless generous sponsors, invested in a modern and much-needed church hall: our beautiful Lutherhaus. As a church we continue to pay towards the mortgage for this. Therefore, any refurbishments necessary for the church roof can only start when the amount of roughly €80,000 is achieved through fundraising and donations. We anticipate outside funding in the amount of c. €40,000; for example from the Protestant Church in Germany (EKD), with whom we are affiliated. St Finian’s Church in the heart of Dublin is listed as protected structure. Therefore, the refurbishment cannot alter the outer appearance of the building. As the church roof has a relatively simple shape – though being reasonably large – the time frame for the project should be straightforward. 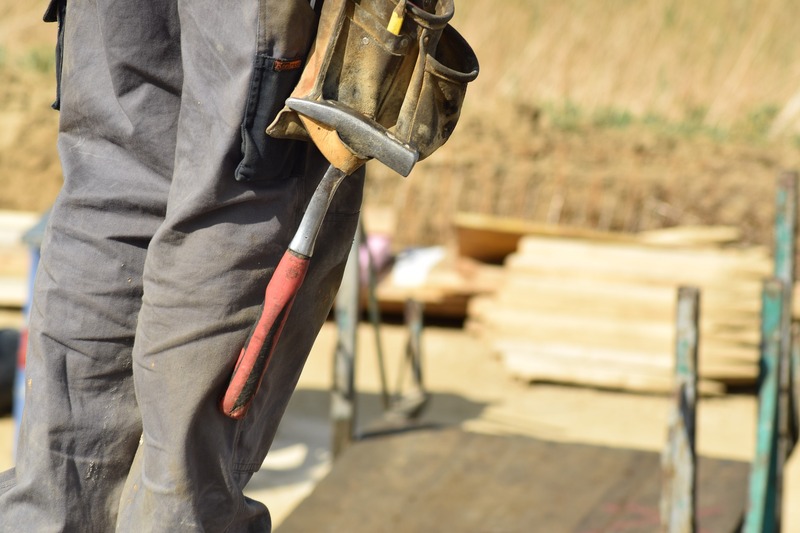 To ensure that works are carried out in accordance to all regulations an architect needs to be involved as well as Dublin City Heritage Office. As many slates as possible will be reused. This is not only to reduce costs but also to cherish the tradition of integral parts of the old building. With new nails these slates are facing a bright future. Another issue within the church building is the heating system along with the overall electric installations. If enough donations are made towards the church roof, or the damage to the roof is less than estimated, the renovation of these interior elements would be the much-needed next step. 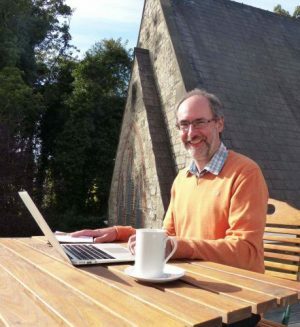 The Lutheran Church in Ireland needs partners to help make St Finian’s wind- and weather-proof and to maintain its place as a spiritual home for many and a welcoming space for all. Every donation helps (none is too small!) and will contribute towards giving St Finian’s a future.